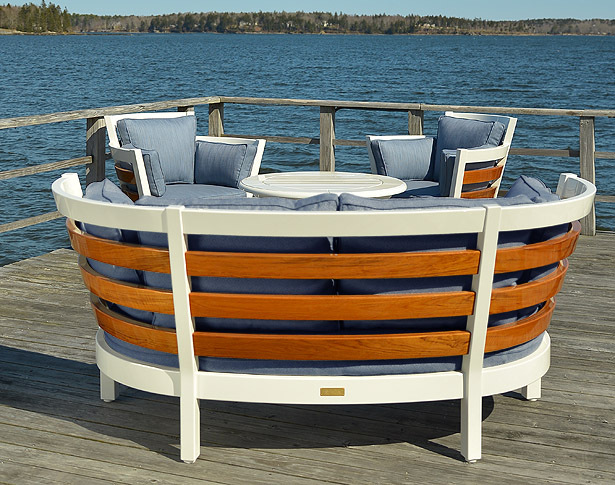 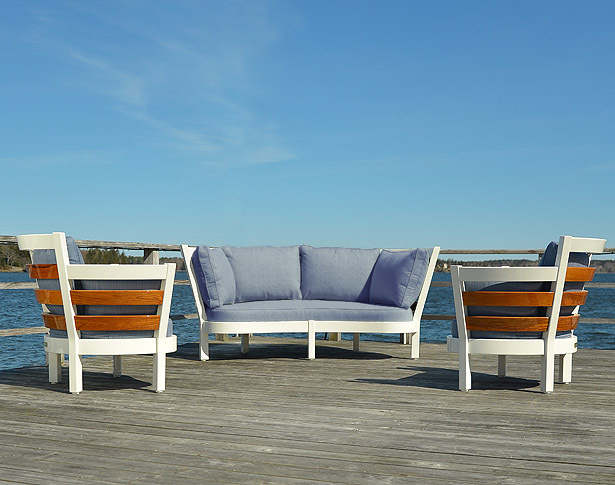 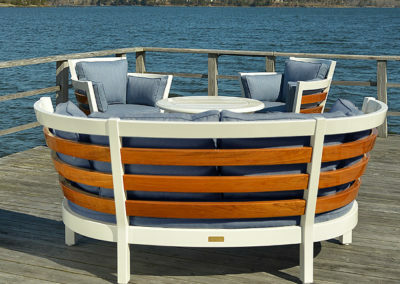 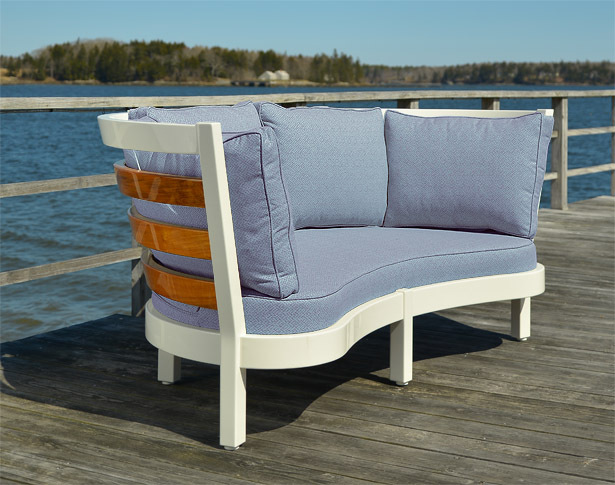 Features: Westport Settee in high gloss white yacht finish is customized with horizontal back and arm slats in teak. 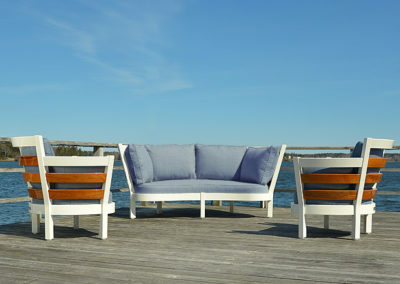 Available in other lengths. 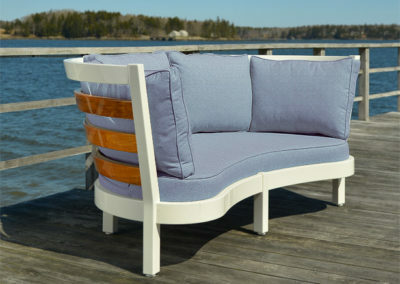 Also offered in other woods and finishes.